When customers or clients come to your business, they’ll form opinions about the quality of your brand based partly on the way your property looks. It’s essential to maintain a clean, modern facility that’s aesthetically appealing, and a big part of that is grounds maintenance. Your grounds are the first thing your customers will see when they arrive, so it’s important to keep it looking impressive to help your customers form a positive first impression. That means paying as much attention to your grounds as you do to the interior areas of your business. Proper maintenance shows that you take pride in your business and attention to detail. However, grounds maintenance takes time, effort, and know-how. 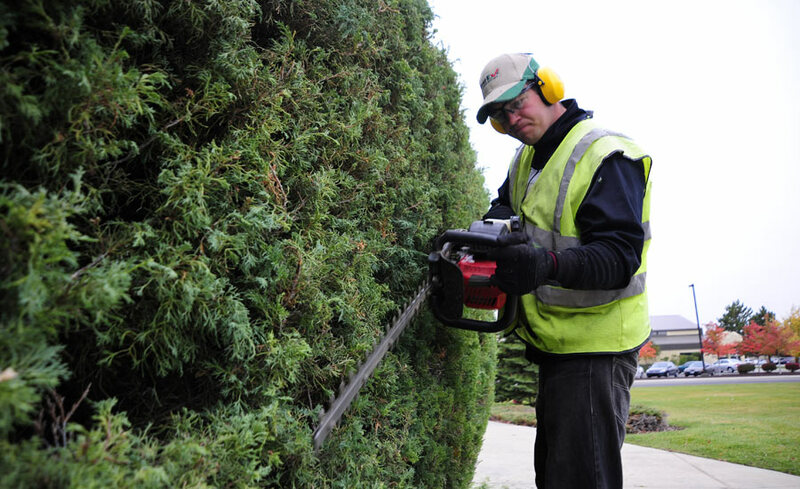 Here are a few of the essential benefits of hiring a professional to look after your garden. Every visitor that comes to your business sees the exterior areas of your premises first. All visitors form first impressions within the first few seconds of arriving at your facility. If your plant beds, hedges, or lawns aren’t regularly maintained, they can start to appear unkempt very quickly. An overgrown grounds area takes a significant toll on the aesthetic of your property. Without the training needed to plan your ground’s layout, the task can be overwhelming and arduous to accomplish well. Professionals can offer advice on things such as plants, sculptures, and shapes that can have a significant impact on the overall look and feel of your property. A professional Grounds-person will not only help you create a beautiful garden but maintain it over time, too. Jani-King is more than just a commercial cleaning company. Customers have the freedom to add on the additional services they need, including grounds maintenance and waste management services to many industries including healthcare, retail, hotels, education, offices, and more. If you’re already contracting your cleaning services, maybe it’s time to look at our add-on services to complement your package. The best part? Just one point of contact and one invoice for multiple services, making managing your account a breeze. We’d love to give you the beautiful interior and exterior spaces your business needs. Contact us today to find out how. Jani-King: the King of Clean.